Woodside rests beside a gorgeous dedicated nature preserve, with parks, trails, lush rolling hills and pristine meadows, making us the perfect destination for those that take comfort in the outdoors. 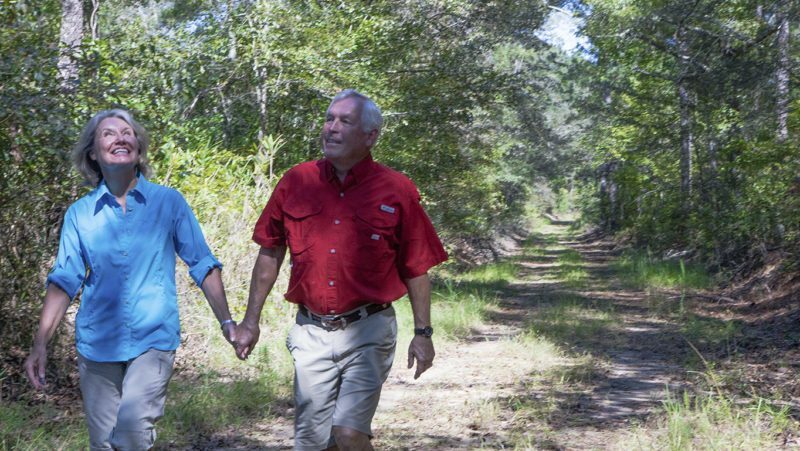 Whether you prefer to get a relaxing breath of fresh air, or challenge yourself with a long and scenic hike, you’ll find what you’re looking for just outside your front door in Woodside’s system of trails. The Perimeter Trail, the sidewalk trail that runs through the neighborhood, is the best known and most frequently used trail for the members of our community. 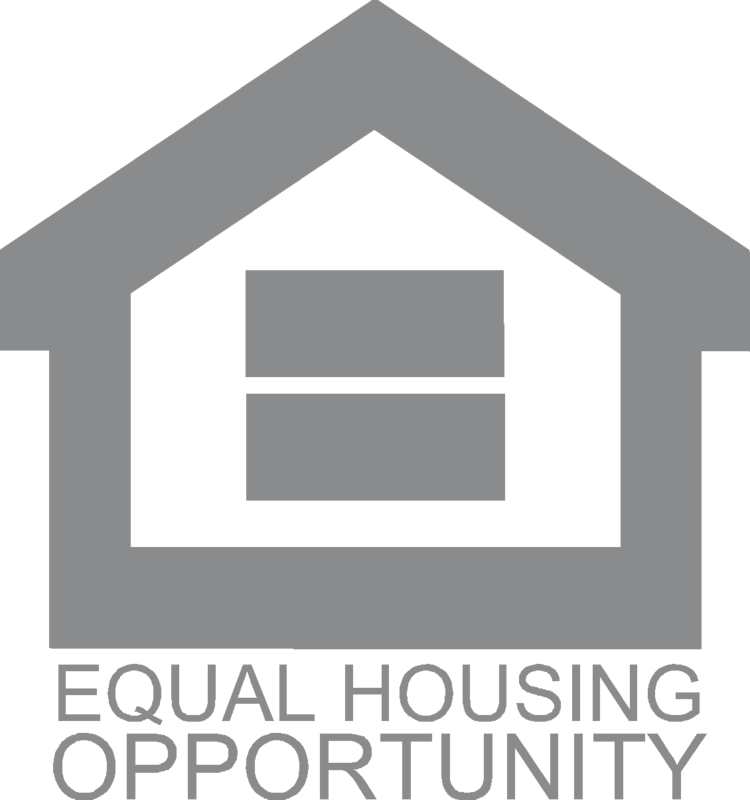 It is a short walk from the front step of nearly all our homes, and draws walkers through some of the most stunning lake and golf course views in the community. 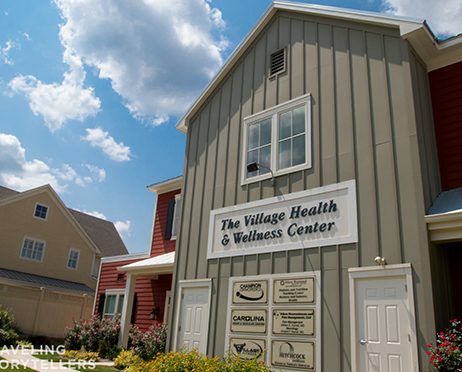 The Village at Woodside offers a beautiful system of trails that run through and around the neighborhood, businesses and eateries there. 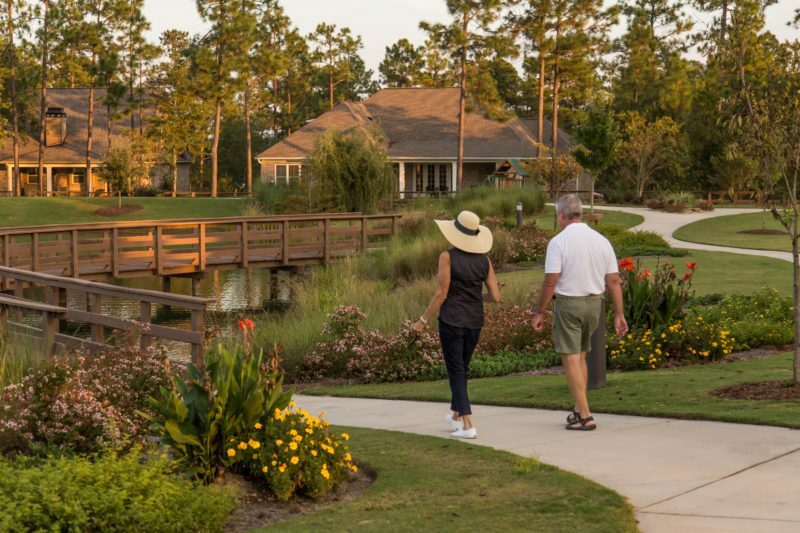 The connector path is a lighted and paved quarter mile rolling path that allows residents to walk directly from the social hub of our community, The Reserve Club, into The Village at Woodside and all that it offers. The Village Park Loop, a second option in the neighborhood, is a lighted and paved exercise loop .3 miles in distance around a graciously landscaped park. 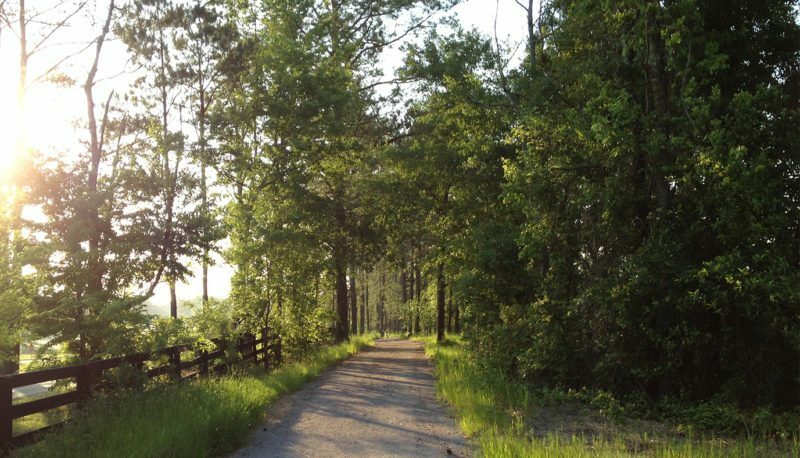 Whether you choose an evening stroll or a challenging workout, you’ll find it on this path. 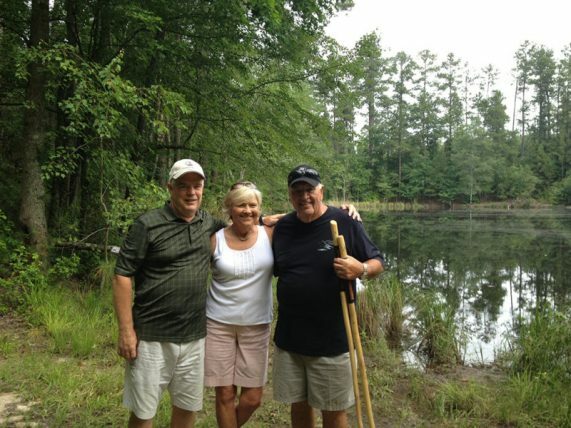 The final trail in The Village at Woodside, the Village Perimeter Trail, is approximately 1.5 miles in length and covers the full scope of the gorgeous terrain in this neighborhood, meandering through woodlands, pond and the community’s garden. 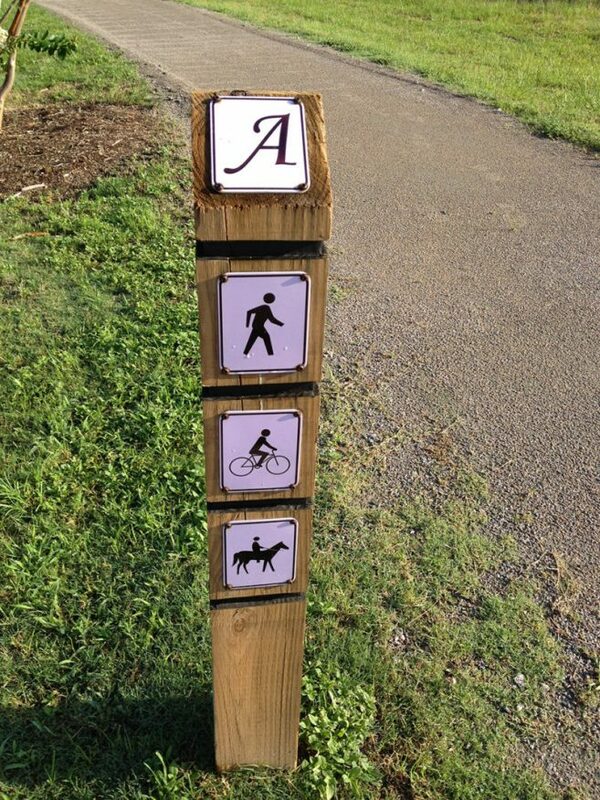 The Reserve Park Trail is a quarter mile paved loop, set in our lushly landscaped Reserve Park. Our residents enjoy walking to the park and tuning into their favorite music while they walk, jog and run with a view that a treadmill just can’t compete with, and their pets love it equally as much! 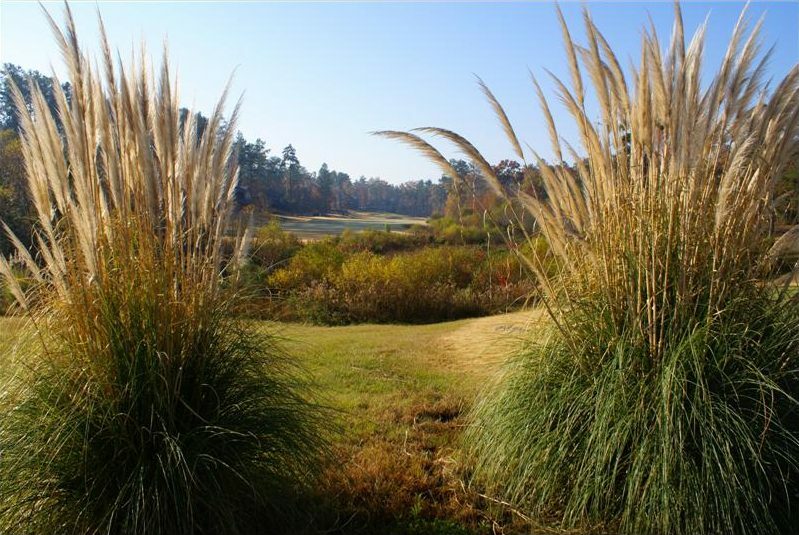 The Mill Road Trail, an “in and out” trail, wanders through a wooded area behind the 15th and 16th fairways of The Reserve’s Nicklaus Design Golf Course. The trail comes to an end with a beautiful view of the course, where walkers then backtrack to the trail’s starting point. 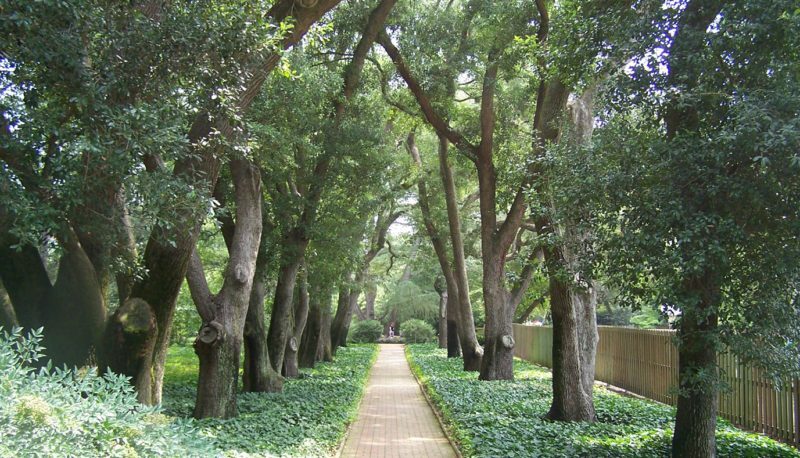 Oakman Trails are two scenic options for discovering the beauty within the gates of Woodside. 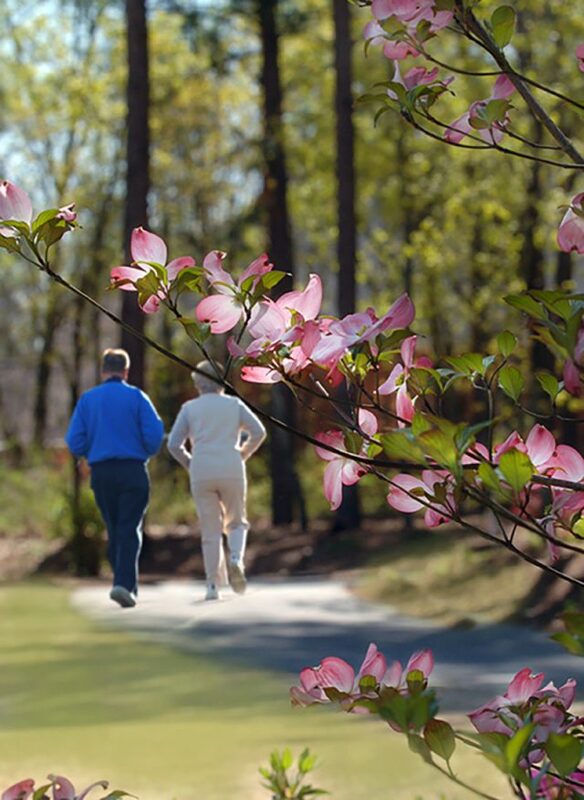 The Long Circuit is a mix of woodland trails and paved sidewalks that travels through wooded areas between the fifth and sixth holes of The Reserve’s Nicklaus Design Course. 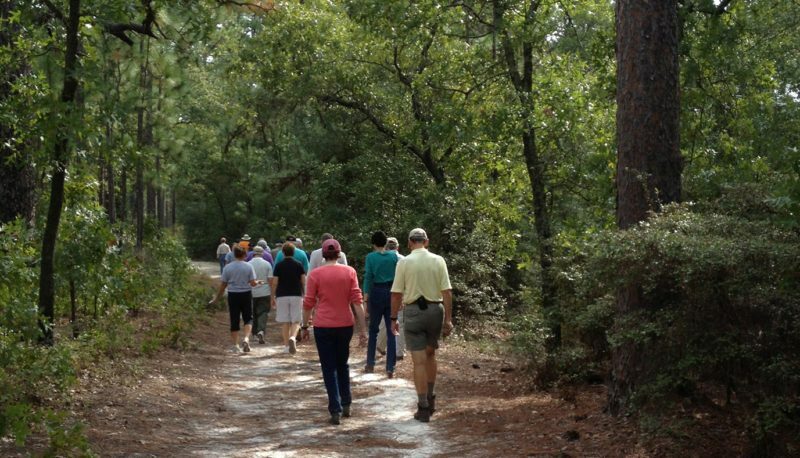 Walkers get views of stunning Oakman Lake and wetland areas, crossing over bridges and dams on their adventure through the community. 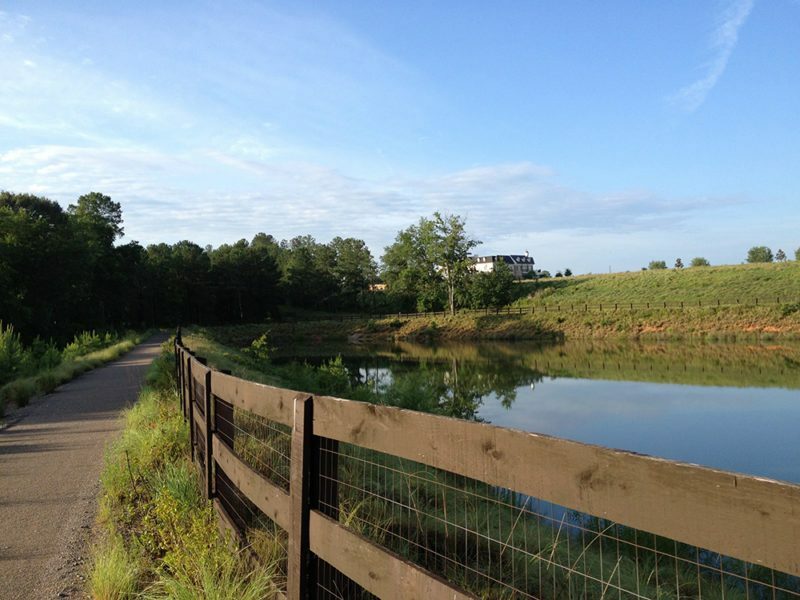 The Creek trail is a short neighborhood trail, perfect for those looking for a casual and scenic stroll. 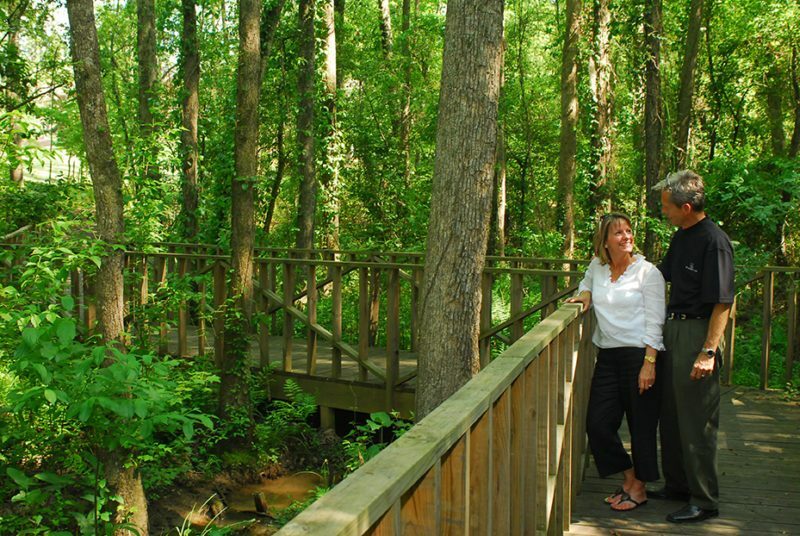 With a flat path that follows and crosses over Cottonwood Creek, observation platforms with seating, all in a shaded woodland area, this trail provides the perfect setting for a retreat into a naturally beautiful setting. 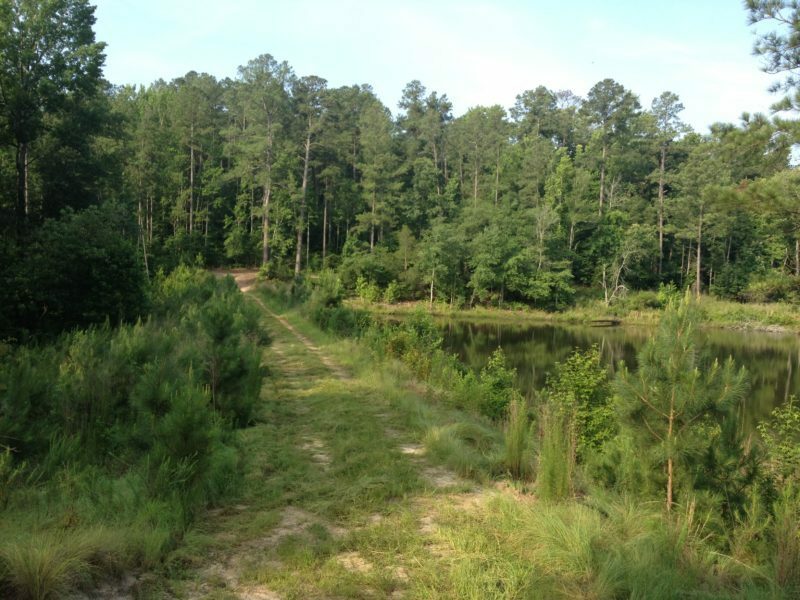 The Hollow Creek Trail system, four distinct branches offering trails of varying length and difficulty level, encompasses the pristine protected woodlands of the Hollow Creek Nature Preserve adjacent to Woodside, but with convenient access within the community. 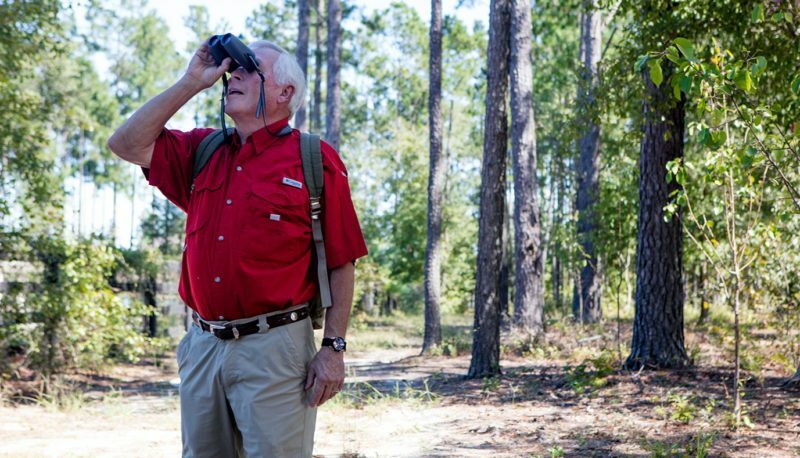 For an adventure you won’t soon forget, explore this sanctuary taking in the animals, pines, oaks and ponds around you on the system’s quiet and gently rolling terrain. 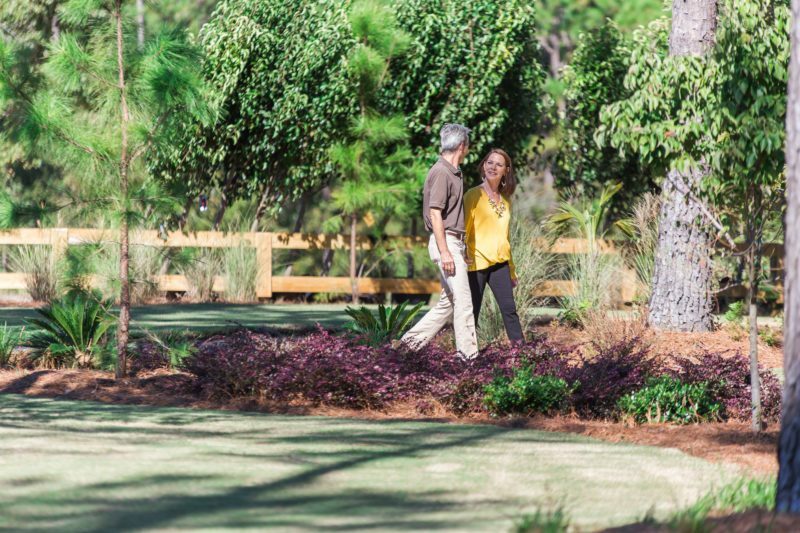 Visit Woodside’s newest neighborhood, The Meadows, for a flat and scenic .25 mile loop that includes views of the lushly landscaped Meadows Park and Pavilion. 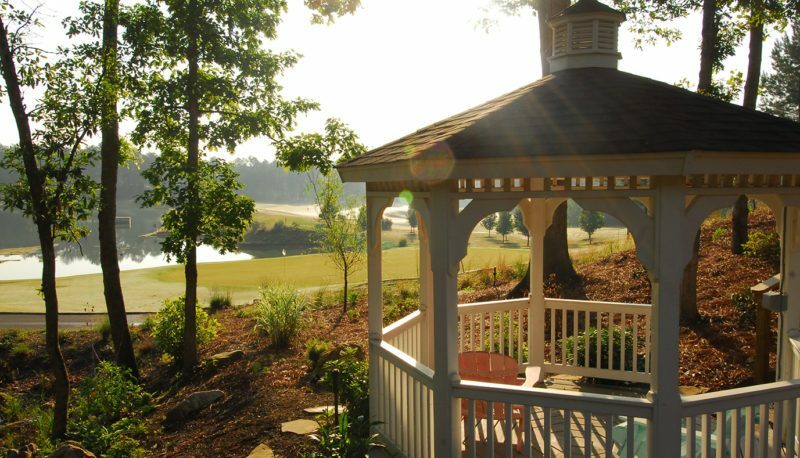 Take a break during your walk to enjoy flowers and greenery from the Southern Living Plant Collection, or to rest in the gazebo by the outdoor firepit. Take a stroll through the quarter-mile walking path in Woodside’s Summer Hill neighborhood to enjoy Summer Hill Park, which features a gorgeous pond and covered Pavilion. 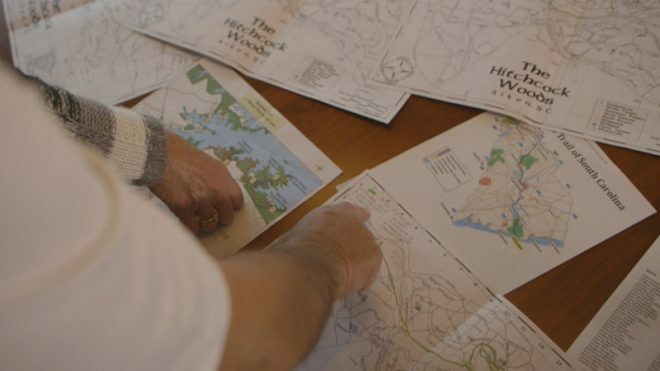 The path connects to Woodside’s extensive system of Hollow Creek trails, so you can either enjoy the loop, or venture into Woodside’s trail network for a more challenging hike. 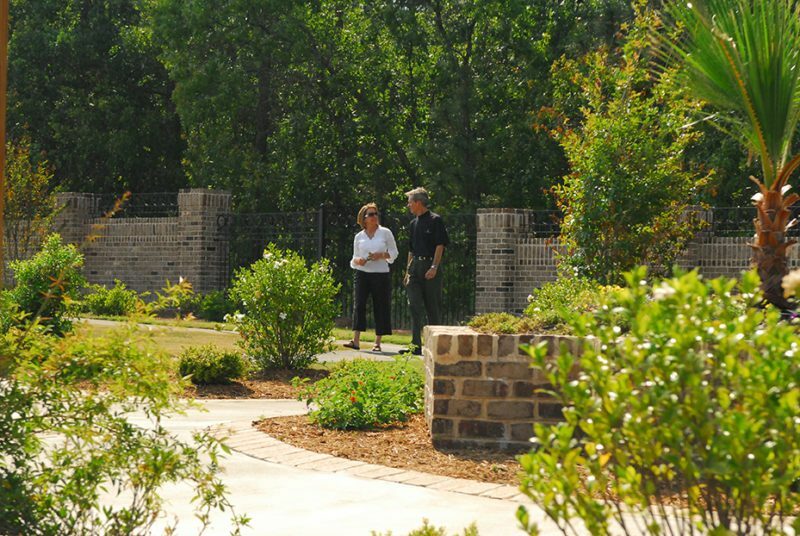 Be sure to click over to our Attractions page here to learn more about trails outside of the Woodside community in Aiken and the surrounding area! 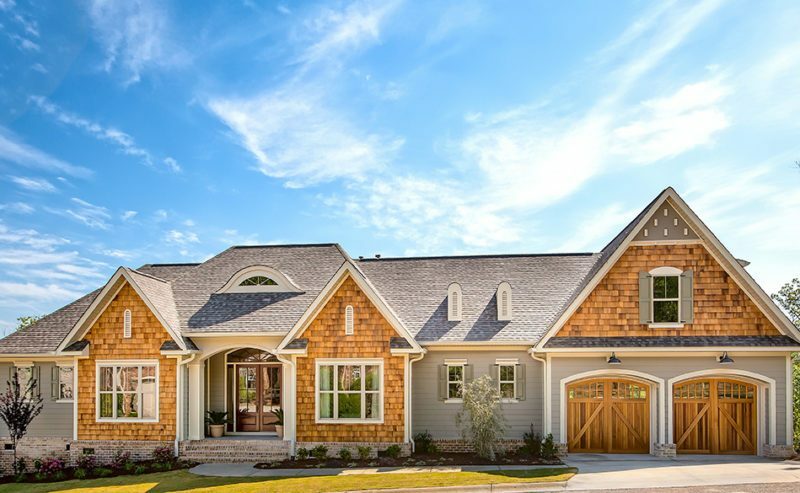 Just outside the gates of Woodside, the town of Aiken, South Carolina offers options galore for your next outdoor escape. 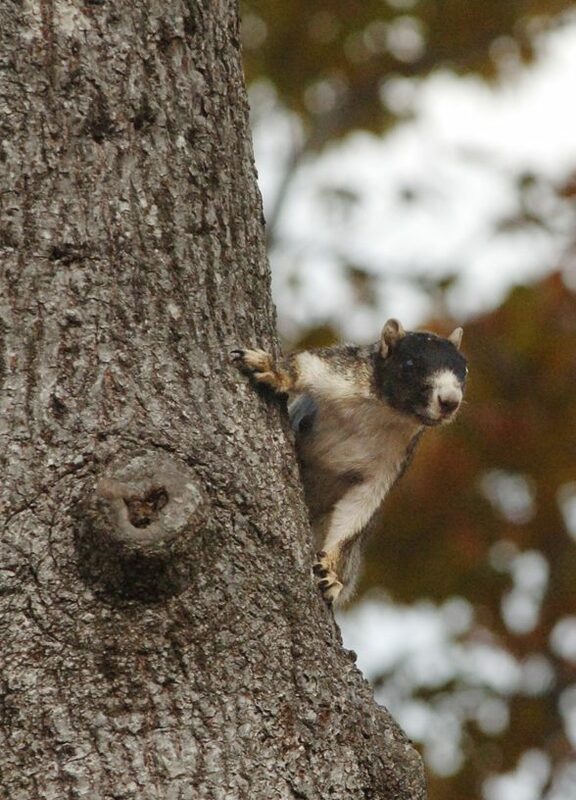 Check out some of the locals’ favorites while visiting on your Adventure Awaits package! 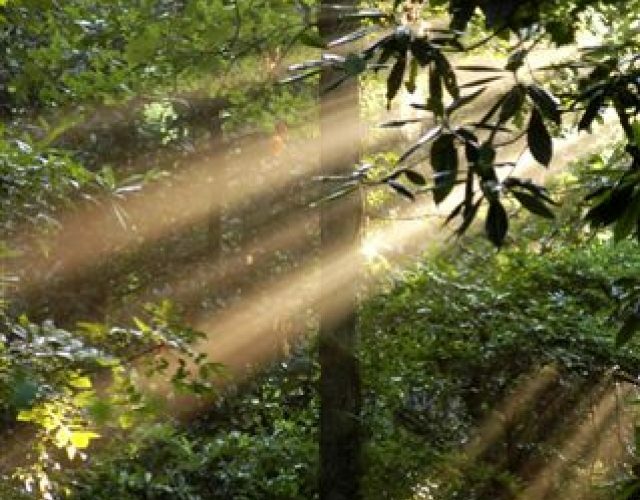 In the heart of downtown Aiken, venture into one of the largest urban nature preserves in the country, Hitchcock Woods. 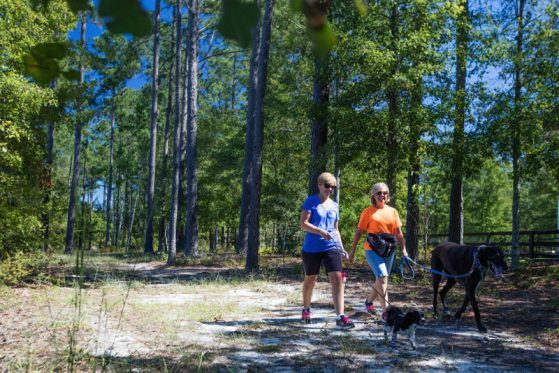 This 2,100-acre longleaf pine forest offers equestrians, hikers, dog walkers and runners more than 65 miles of sandy trails that traipse through the picturesque ecosystems located in the Woods, and is a favorite of the Woodside Trail Group, who often enjoy hikes and geocaching excursions there. Check out Aiken’s diverse collection of trees and greenery taking in the scenic walking paths of the botanical Hopelands Gardens, where you’ll find outdoor concerts, holiday events, and family-friendly events like “Storytime in the Gardens.” Bring your mobile phone to the Aiken Arboretum Trail to learn the history of some of the grand oaks and lumbering trees resting throughout downtown, explore the lakes and trails of Aiken State Park, or wander through the natural wetlands of Carolina Bay Nature Reserve. 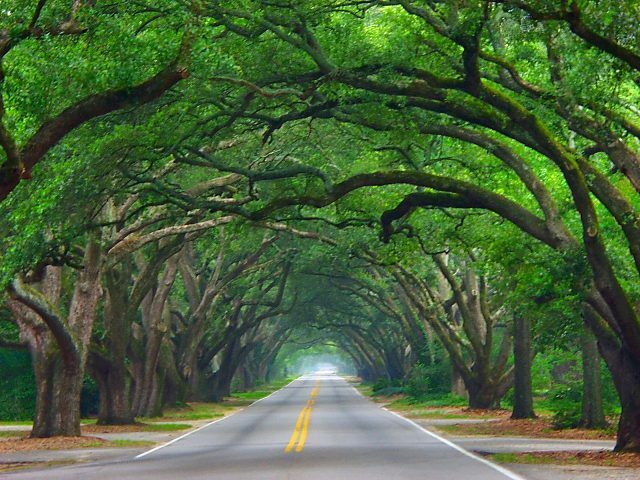 Whatever fresh air adventure you’re seeking, you’ll find it nestled within the town of Aiken, South Carolina!